Ten Echo chainsaws were stolen during a break-in at Tulleys Farm on Turners Hill Road, Crawley, a spokesperson said. Six men broke into the property at around 10pm on Thursday, 9 February. CCTV shows the men, all of who had their faces covered and were wearing gloves. “Although this makes it difficult to identify those responsible we are keen to speak to anyone who may have been in the area at the time and saw anyone acting suspiciously,” the spokesperson said. 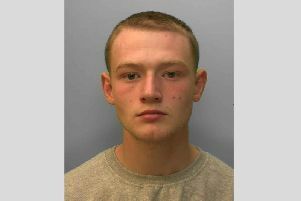 Anyone with information is asked to report online https://sussex.police.uk/contact-us/response-to-appeal/ or call Sussex Police on 101 quoting serial 334 of 10/02. Alternatively you can contact the independent charity Crimestoppers on 0800 555 111.